Well, color me shocked! It didn’t take long for this presumed power-foursome to break-up. And it really was all at the hands of Ricky Williams…at least indirectly. I mean, let’s face it: Tom Green was right about him! Tom correctly sniffed out the fact that Ricky had no real plans to stick with the alliance of five. It was his ultimate goal to pit the two duos (Kato/Tom and Lolo/Natalie) against one another. It happened much earlier that Ricky probably anticipated or even wanted it to, but he’s now survived through Phase I of his master plan of breaking up one of the two power couples in the game. Don’t think for a minute that he plans to ride it out to Final Three with Lolo and Natalie. Ricky is the one to watch. Tom was absolutely on the money in thinking so. You also can’t fault Tom for airing out a plan to back-door Ricky, as I don’t think anyone – Tom nor the audience – expected Lolo to go off on him like she did. There was a very telling moment during last night’s episode. Tamar Braxton weighed the option of back-dooring Natalie or Lolo (more on that later…). Tamar concluded that she would most likely put up Natalie because Natalie is playing the better, smarter game. Lolo thus far has been unpredictable and a fire-cracker, and at least with Lolo you know exactly what you’re dealing with. But from Tom’s perspective, his “core” alliance beyond Kato was with Lolo and Natalie…not necessarily Ricky. In his mind, you can understand the confusion caused by Lolo’s blow-up. Ultimately Tom’s game is now in serious jeopardy, all, because he talked strategy – as HOH – with who he thought were his most trusted allies. Before all of this mess, we saw the breakup play out. Natalie won the POV and decided not to use it. This sent Joey Lawrence out the door (Woah! Don’t let the door hit you in the keister!). Joey admitted in his exit interview that he knew very little about Celebrity Big Brother going in. And it showed. For me, this wasn’t much of a loss and was a needed vote-out. Still, it was an important vote-out in a sense. It represented Ricky NOT getting back-doored, therefore dissolving the major alliance in the house. Poor Kato and Tom too. Things still looked good for them even after Tamar won tonight’s HOH. And was good to see Kandi Burruss and Dina Lohan in on the game talking a bit of strategy with Tamar. Tamar sort of ended up doing the dirty work for Lolo and Natalie this week. Still, it seems like she was down with the plan to backdoor Natalie should either Tom or Kato come off of the block. We’ll never know, because – against all odds – Lolo ended up winning the Gallagher-themed POV comp, despite basically being one against six going in. Keeping the noms the same allows Tamar to keep her alliance with the girls, but we now know that Tamar and Kandi – against all odds themselves considering their personal baggage – are in it to win it and see each other as vital allies. Well, I guess at least Tamar sees Kandi that way. Where things go from here will be very interesting, considering that the next eviction will actually be a DOUBLE eviction night. This will cut the current seven down to five. We don’t yet know who Lolo and Natalie will target next. Will they look to get the sitting duck Tom out? Or are there now bigger fish to fry? What is Ricky thinking? How long will he ride out his alliance with Lolo and Natalie? And if Tamar or Kandi (or even Dina) come to power at the next HOH, who will they target? Episode(s) Take-Away: Kato and Joey are both out of the house, leaving just Tom and Ricky as the lone males left in the game. Right now I still see Ricky as the sneaky threat to win it all, as I’m not sure who would target him at this point until it’s too late. And just because Tom is down, don’t count him out. Now that he’s been neutered (ooh, bad pun considering he’s a one-ball man) by losing Kato, if he doesn’t ruffle too many feathers, he may quickly become a popular and safe person to put up on the block, but not necessarily a good target to go home. 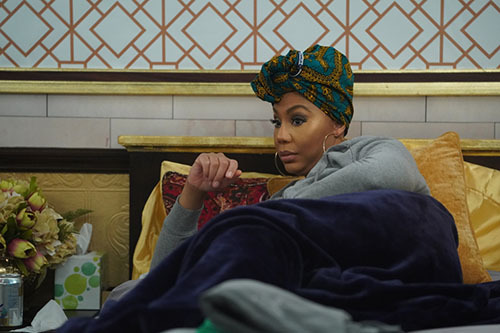 I would also be remiss if I didn’t mention the hilarious entertainment provided to us by Tamar Braxton last week, as she attempted to overcome her fears and enter the Celebrity Big Brother haunted house competition. Man, she’s dramatic, and funny, and great for TV. But this wouldn’t be much of a recap if it overlooked the week’s funniest moment. 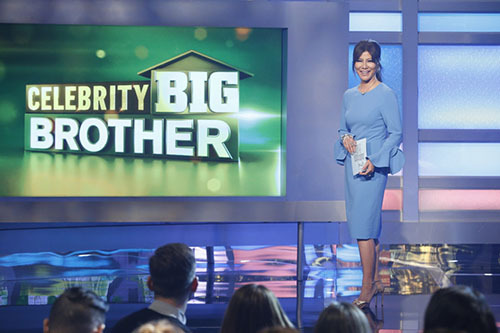 But back to business…I said it last week and it’s worth repeating this week: Things can change quickly in the Celebrity Big Brother house! So just because things seem a certain way right now, the reality is that come this weekend, the game will have been completely reinvented. Quick Note! I appreciate that you are reading this recap! 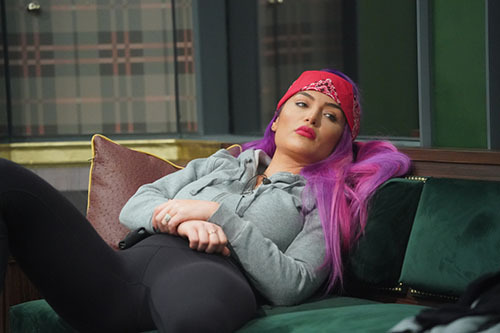 With the barrage of episodes coming our way, there won’t be a recap following EVERY episode of Celebrity Big Brother. However, you CAN expect a new article following each elimination episode this season. This coming week we have a new episode on Thursday and then a DOUBLE EVICTION episode on Friday. You can look for the next recap of those two episodes by Sunday, Feb. 10th. 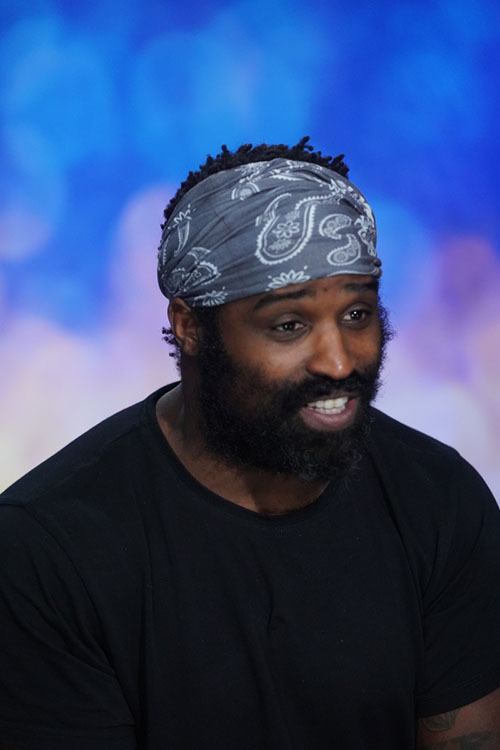 TELL US – WHAT DO YOU THINK OF KATO’S EVICTION? IS RICKY REALLY LOYAL TO LOLO AND NATALIE? AND WHO DO YOU THINK HAS THE BEST CHANCE OF WINNING CELEBRITY BIG BROTHER?